Rock bands Jefferson Starship and Blue Öyster Cult took the State Theatre New Jersey’s audience back to the 1970s last week when the two bands performed. Jefferson Starship opened the show with “3/5 of a Mile in 10 Seconds.” They segued into “Find Your Way Back” and we went back to a time when rock music filled the radio airwaves. Singer Cathy Richardson told us they were going to play ‘old stuff’ and ‘older stuff’ for the night. She is the band’s songstress and when Jefferson Airplane won the Lifetime Achievement Award at the Grammy® Merit Awards Concert, Grace Slick gave her the nod to sing in her place. Following the song “Stairway to Cleveland” she asked if we wanted more, and if so, how much. The audience was ecstatic as the band sang “Jane.” Other songs of the evening included “Miracles,” “Somebody to Love,” and “Volunteers.” The band includes original singers David Freiberg and Donny Baldwin. Paul Kantner created the band as an offshoot of Jefferson Airplane; he passed away last January. The love of rock music was evident as the members jammed for a while. Their verve for singing their music was reflected back to them as the audience was just as excited to be a part of it all. The audience was filled with mostly older people who listened to the bands back in the day, but there were also some younger people in the crowd. Blue Öyster Cult took the stage after intermission. They were welcomed with whistles and screams and the atmosphere of the theater changed, becoming more intense. Opening with the “The Red & The Black” they then jammed to “Before the Kiss." Donald “Buck Dharma” Roeser, an original member, talked about when they were in Chicago’s O’Hare airport and they met George Carlin. He didn’t recognize them, but he asked if they were a rock band because they looked like one. They confirmed they were Blue Öyster Cult. He then took out a cassette he was listening to which was one of their albums. From cassette to CD to downloadable music, this band has been through it all and they’re still rocking on. 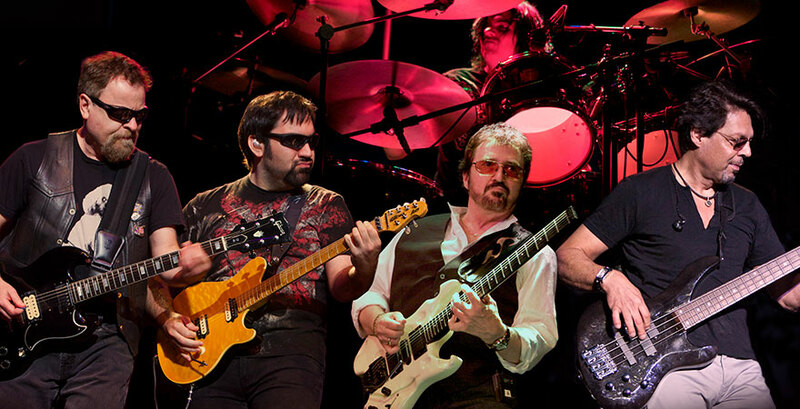 In addition to Donald, Eric Bloom is another original band member. A technological benefit of today’s world is Richie Castellano’s guitar which switches from electric to acoustic. The switch was seamless as he jammed to some intense music. The Blue Öyster Cult and Jefferson Starship musicians don’t seem as if they are planning on slowing down any time soon, and their loyal fans must be happy about that!